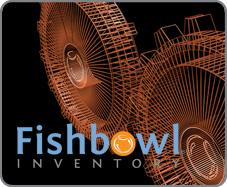 Fishbowl Inventory offers the most advanced capabilities for QuickBooks manufacturing users. Using QuickBooks without a separate inventory management system can be very difficult for manufacturers. They find that their complex assembly and manufacturing processes can’t be handled using QuickBooks; however, they love the simplicity and power that QuickBooks offers for accounting. That’s where Fishbowl Inventory comes in. Fishbowl gives you all of the assembly and production capabilities of a manufacturing system, and it seamlessly integrates with QuickBooks for accounting. Even if you don’t use QuickBooks, you can still get all of the great manufacturing capabilities from Fishbowl. All of Fishbowl's existing features, such as the QuickBooks integration and multi-location parts tracking, are still here, but they have been expanded and improved to help you even more! With all the advanced features and performance capabilities, it’s no wonder Fishbowl Inventory is the #1 inventory management solution for QuickBooks users.